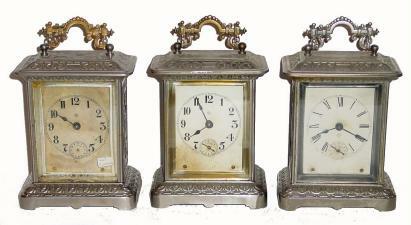 C.1904, (lot of 3) Ansonia CARRIAGE EXTRA, 1-day, time, strike and alarms. 2 are complete and sound, 1 not running, also missing 2 hands. Height with handles up, 7.5" One bid for all.